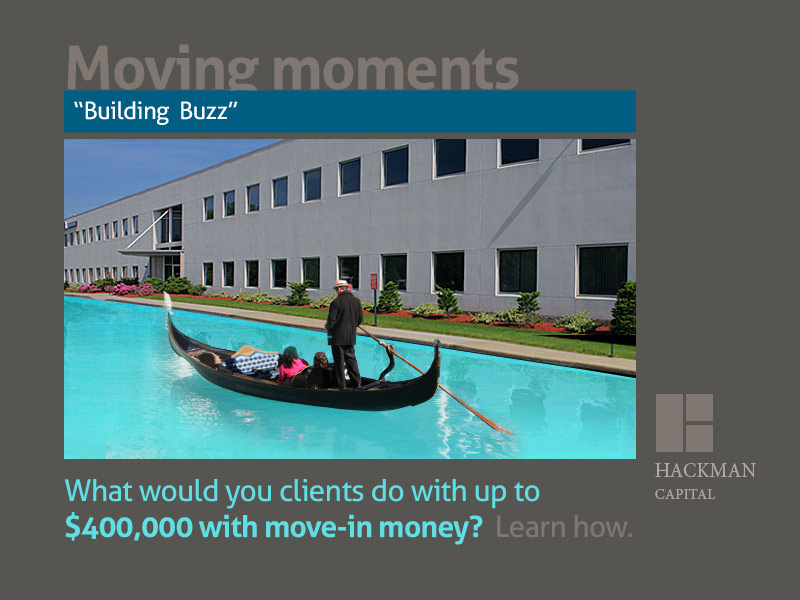 A fun way to show what $400,000 "move-in" money can do. 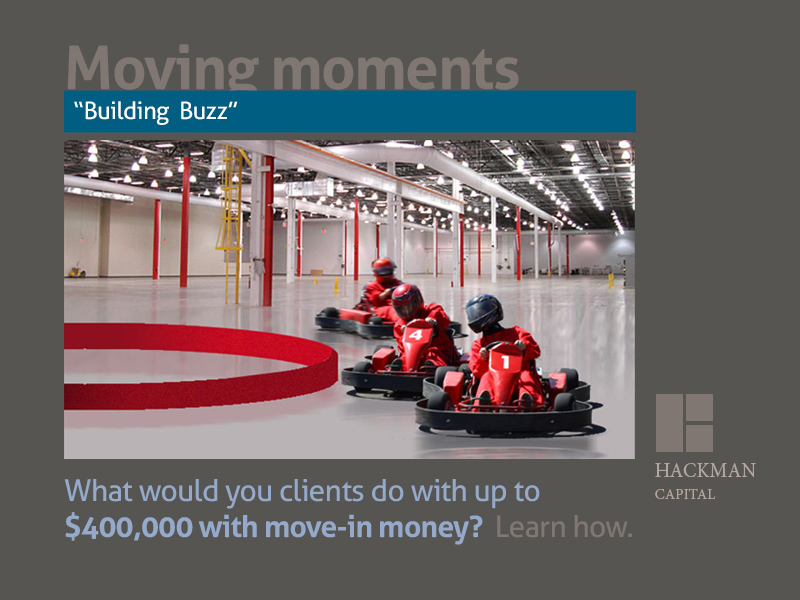 Hackman Captial, based in Los Angeles, owns multiple warehouses in Central Ohio. 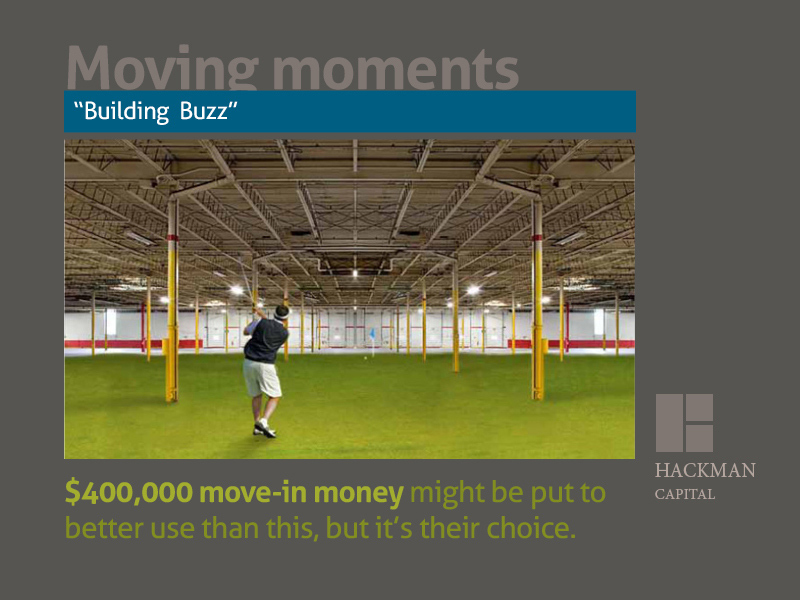 And it is a competitive marketing, so they were offering $400,000 "move-in" money as an incentive to companies. The offer was made through real estate brokers, hence the message is geared towards them, opposed to the end "buyer." As with all marketing and direct mail, getting your audience to take notice of your piece, in a sea of direct mail, is half the battle. If we can create visuals that are unusual, that stop people in their tracks, yet tells the story of what the client is offering, we grab the attention of our prospects in seconds. 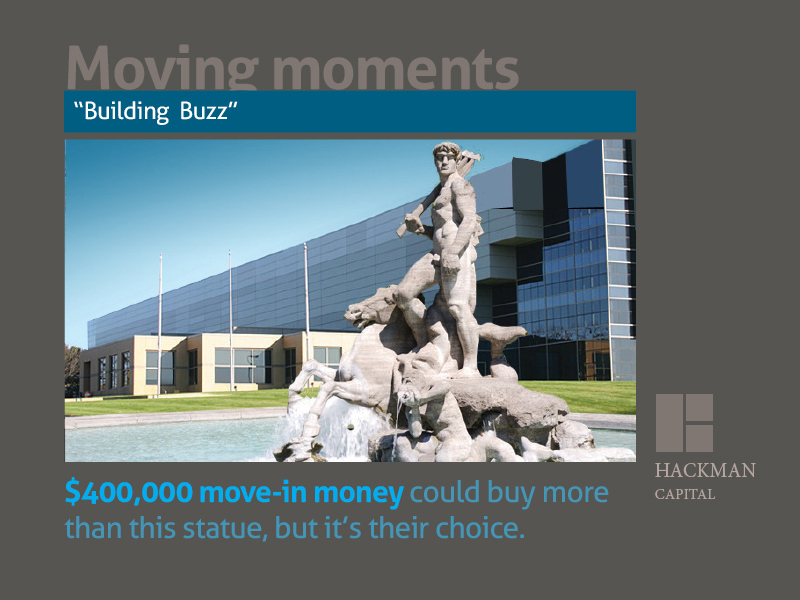 In the past, Hackman Capital was sending out direct mail pieces with not very dramatic images of their buildings. Those don't catch the attention of people who are filtering their mail. And when each piece of mail is given 2 seconds before it ends up in the trash pile, getting someone's attention with a unique visual is critical.